FRIDAY, May 16, 2014 (HealthDay News) -- High salt intake is a known risk factor for high blood pressure and stroke, so experts say it's concerning that a new study finds people with high blood pressure tend to prefer saltier foods. The findings from this small, preliminary trial do suggest that people with raised blood pressure are often "salt-seeking," said Dr. William White, current president of the American Society of Hypertension (ASH). But the study also offers these people a tasty alternative, "by adding nonsalt spices to food," White said. He added that "it is important to know that alternative spices could reduce sodium [salt] intake and potentially lower blood pressure." The findings are scheduled for presentation Friday in New York City at the annual meeting of the American Society of Hypertension. 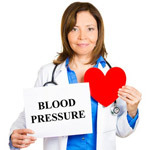 Experts from ASH note that high blood pressure is commonly referred to as the "silent killer," because the condition often doesn't have obvious symptoms and patients don't know they have a problem. However, approximately one billion people have high blood pressure worldwide, including one in three American adults, according to ASH. In the study, a team led by Patricia Villela from the University of Sao Paolo in Brazil focused on 118 people divided into four groups. Two groups included men and women in their 30s with or without high blood pressure, while another two groups included older people in their 70s, either with or without high blood pressure. All participants were initially offered three different French bread options. Each contained a different amount of added salt -- some breads were much saltier than others. Investigators observed that none of the healthy participants -- those without high blood pressure concerns -- showed a preference for the highly salted bread. Instead, the older healthy group preferred "medium salty" bread and the younger healthy group went for the "lightly salted" option. By contrast, people with high blood pressure in both age groups favored the "highly salted" bread option. During a second phase of the experiment, conducted two weeks later, all the participants were again randomly offered the same three bread and salt combinations. However, in this case all the breads were also seasoned with oregano. Oregano, the authors noted, is a naturally salt-free spice. The result: this time around all four groups showed at least some shift in preference, choosing breads that were less salty than their previous choices. The study team concluded that high blood pressure patients do seem to have a taste for saltier foods. However, they believe such preferences can be overcome by seasoning foods with nonsalt alternatives such as oregano. Studies presented at medical meetings are typically considered preliminary until published in a peer-reviewed journal. And Dr. Domenic Sica, ASH's new president-elect, cautioned that "further research is needed" before being able to come to a definitive conclusion about salt preferences among people with high blood pressure. "This trial did not set out to determine if there is cause and effect," he noted. "At this time, it's simply an association that needs to be further clarified in larger studies, with a more rigorous trial design." But Sica said the study does raise the interesting notion that "there may be an acquired tendency [or trait towards] a desire for more salt." He believes that "future research might guide us in better understanding how to better retrain 'food preferences,' as in the case of a high-salt taste preference."